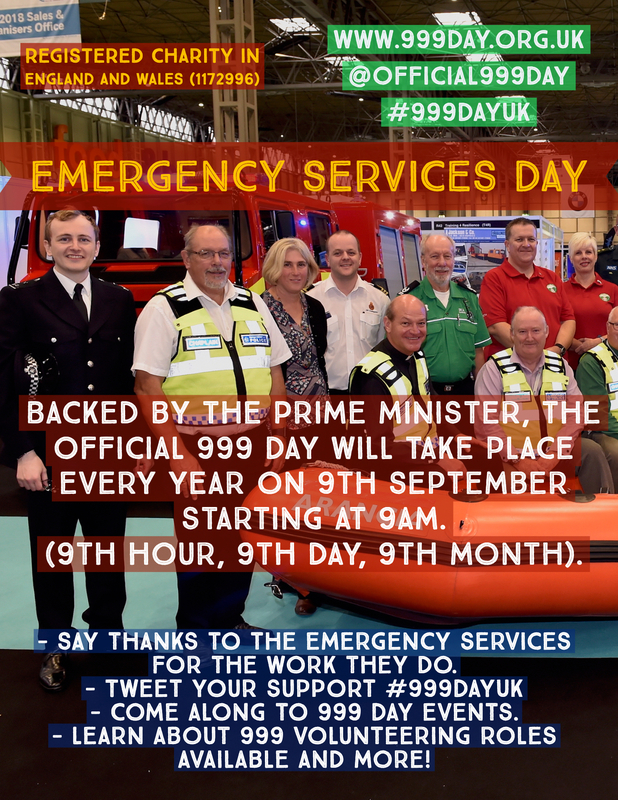 The second 999 Day as backed by the Prime Minister and First Ministers of Scotland and Wales will take place in Edinburgh, Scotland on Sunday 8th September 2019 from 09:00 – 16:00. The event is FREE and all are welcome to attend. Attendees will include the Police, Fire and Rescue Service, Ambulance Service, Search and Rescue teams, the RNLI, St John Ambulance and many many more. Represent a 999 Charity or Emergency Service? 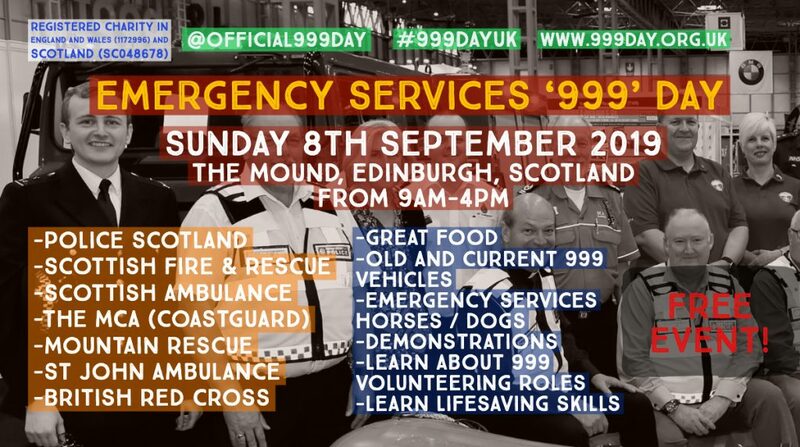 We are inviting 999 charities and emergency services to apply for a free stall at the 999 Day in Edinburgh. If you are interested in engaging with thousands of people, fundraising for your charity and engaging with the community then get in touch for more information and for an application form. Want to come along to the 999 Day? The venue in central Edinburgh will be open from 9AM until 4PM on Sunday 8th September 2019. We’ll start at 9am with two minutes’ silence to remember emergency services personnel killed on duty. 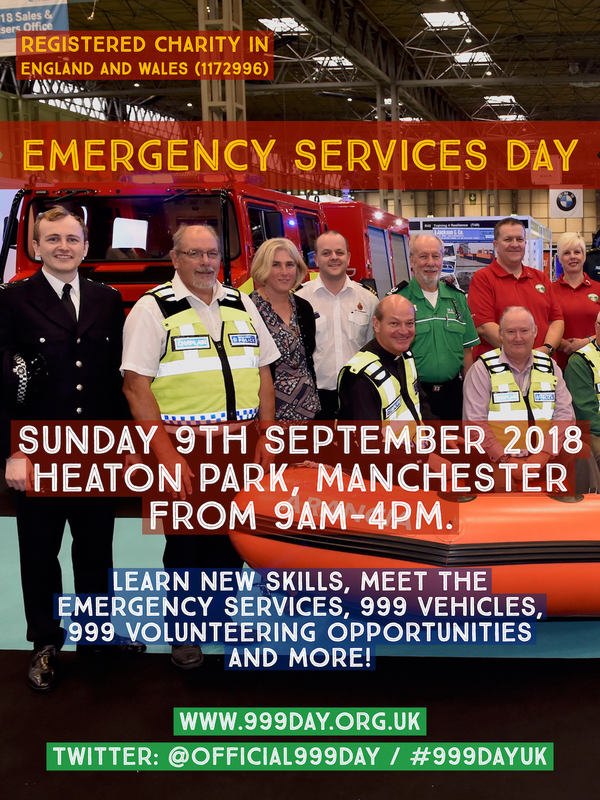 The 999 day will include stalls where you can learn more about the different emergency services, where you can learn and sign up to become a 999 volunteer (for example the special constabulary), you can watch demonstrations taking place, learn basic skills and how to use the emergency services responsibly, engage with emergency services personnel, and check out and sit in different 999 vehicles. This will be a relaxed, fun and engaging event and we hope you will put it in your diary and bring the family! Toilets and catering will be available. Want to Support the 999 Day but cannot make it to Edinburgh? In addition to a physical event in Edinburgh and smaller events across the UK which we will soon promote on this website, there will be a national media and social media campaign using the hashtag #999DayUK / Twitter: Official999Day). The media campaign will take place on Monday 9th September 2019. The media campaign is a chance for the public, businesses and the emergency services to promote the work they do, educate people on using the services responsibly, to engage with the public and to promote the incredible 999 volunteering roles available. The 999 Day team are happy to speak to the media and to your communications team about how to maximise exposure on the day. Download our posters and put them up in the canteen and office notice board. What is 999 Day? (A4 poster, Black and White) – Download here. What is 999 Day? (A4 poster, Colour) – Download here. 999 Day flyer 1 (Colour) – Download here. 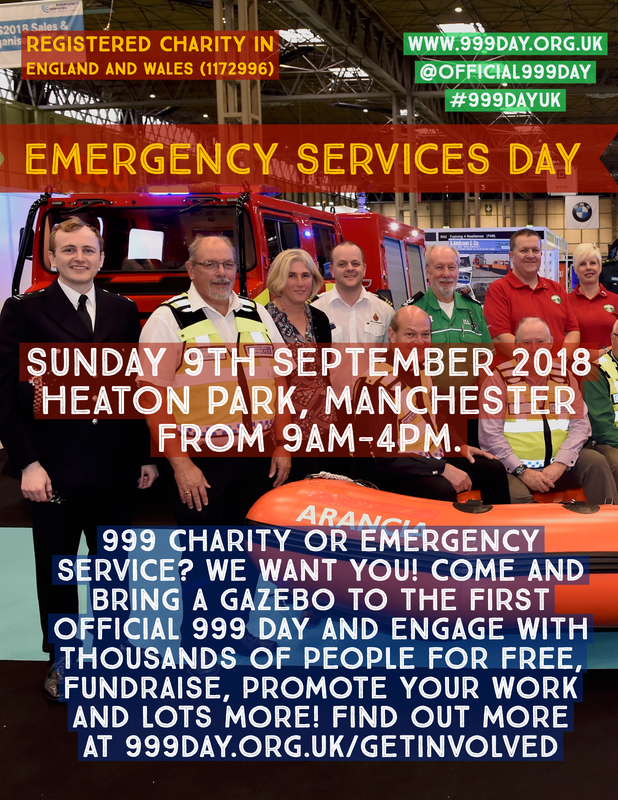 999 Day – Charities and Emergency Services – We want you! – Download here. March 2019 Leaflet – Download here.